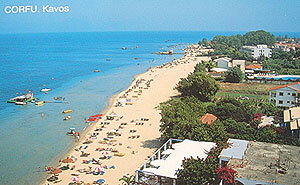 An Excellent choice for the lively KAVOS swelters in the mid-day sun, miles of fine golden sand sloping gently into warm shallow waters. Parasail, Windsurf or Water-Ski at your leisure it's a paradise for all. 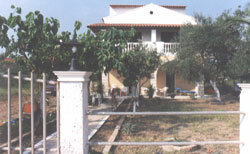 Close neighbors of KAVOS enjoy fun loving and sun loving visitors who prefer a slightly more relaxed atmosphere and a slower pace. Miles of sandy beach, water sports, bars and restaurants on hand and only minutes away from the hustle and bustle of KAVOS if you choose. KAVOS at the last count had 120 bars and 3 discos "HAPPY HOURS" to help you get into the swing and rave the night away. So if you want to relax and party KAVOS is just for you. 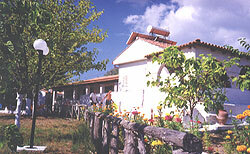 These three resorts also offer an excellent service in organized excursions by boat and coach. Either on the island or island hopping to smaller islands near by. Not to be missed after coming so far. 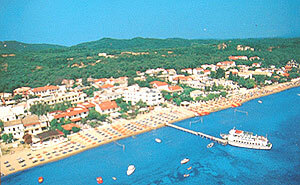 Centrally located in the lively, action packed resort of KAVOS. The SOTIRIA STUDIOS are the perfect choice for party people. The Studios have twin beds, shower room WC, kitchenette and shared balconies. The golden sandy beach is 260 meters walk away. 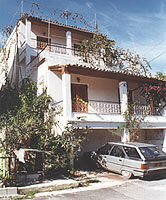 These Studios and apartments are just a 20 minute walk from the busy nightlife of KAVOS. Many large neighboring hotels feature swimming pools open free of charge to the public or you are just a short walk to the golden sandy beach. A perfect location for couples, families and friends alike. 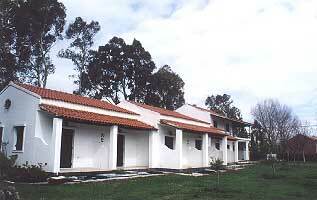 Studios and apartments are twin bedded with kitchenette, shower room and WC. 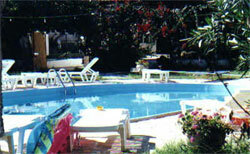 These apartments and studios are on the beach front in St. Peters a 15 minute walk from KAVOS. The Village of St. Peters has its own small night life, and is only a short walk away from KAVOS so you can choose between the two. This beautiful villa is situated on private land, 10m from the golden sandy beach and 2 km from the local Greek village of Lefkimmi. Excellent for those who want peace and quiet. Ideal for families. There are 4 other villas close by. Transport is recommended. 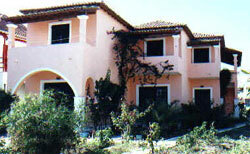 This villa has two twin bedrooms, bathroom and kitchen also features a large fenced off garden. 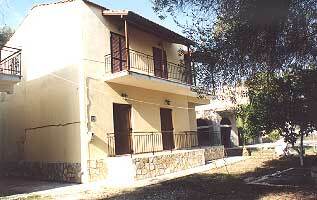 This property is situated on private land directly on the beach, 2 km from the local village Lefkimmi. With a fantastic view of the Greek mainland. 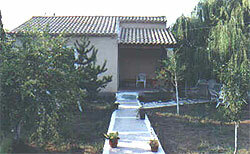 An excellent location for families or people seeking peace and quiet. Transport is recommended. Studios and apartments have twin bedded rooms, shower room, WC and kitchenette.